STAY UP-TO-DATE WITH DAVID AND RECEIVE A WEEKLY UPDATE WITH ALL THE LATEST. 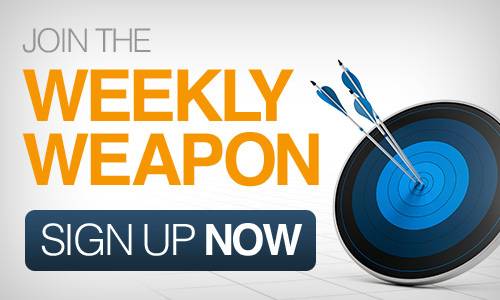 JOIN THE WEEKLY WEAPON BLOG! As I sit here behind Pon Valley in Bloomfield Hills, Michigan, I stare deeply into the glistening pond. I notice each lilly pad, each bait fish surfacing, the heron standing in the distance, and an old stone statue of a little boy frames the scene. Geese swim in the right corner of the small but distinct pond. The weather is perfect and the sun heats the skin of my back. I begin to breathe in a rhythmic pattern and I listen to the unbelievable almost surreal variety of noises that fill the air. The water is so good for driving consciousness. Anything that moves in the water leaves a wake, no matter how subtle the movement may be. I have found that water is much like life in this way. I have an alive feeling throughout my body, mind, and spirit. I feel myself breathe into the pond and I feel immersed in it. I come to this place to read, to meditate, and to be present. Pon Valley is a very spiritual place and the energy is nearly unexplainable. It sits a mere half mile from my house and I visit this place regularly. There is a resident deer herd, but not a herd that I hunt, rather one that I study and learn from. I use this place and in turn it uses me. Everyone needs a place like Pon Valley. This is my sacred place on this day and many others. People have often misunderstood the hunter in me. People often misunderstand the mind of a hunter. They think of hunters as just killers, not artists of the outdoors who frame their own pictures in nature. It is confusing to non-sportsmen and women how we can love wildlife, respect a deer herd or a turkey flock, study and learn from them, and even protect them. Then when it is in season we hunt them, this is confusing to the non-sportsman or woman but it all makes more sense than many realize. For me, the woods, nature, and wildlife are much of the foundation for my mind, body, and spirit. They represent an oft-needed reminder that we as human beings are only a part of a universal ecosystem that is far greater then our egos. I have always found it humbling and reassuring that we live in a limitless universe, and that nature knows no prejudice. I love the outdoors and I harness it fully and will always be one with nature. This entry was posted in Nature and the Pursuit of Life on July 19, 2012 by David Farbman. Comment on this and other posts on my Facebook page!